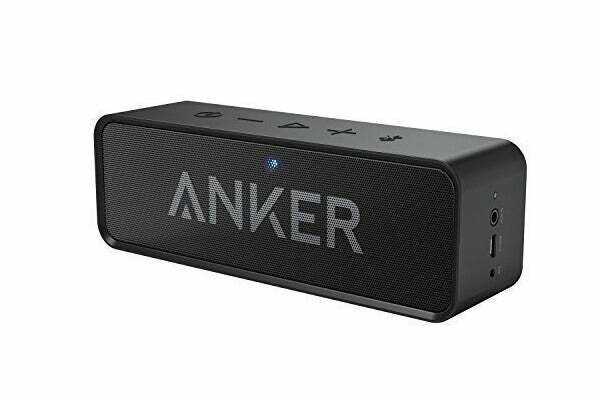 This rubberized Bluetooth speaker is a great choice for pumping tunes at the beach or the lake this summer. Aukey and Amazon love to get together for deals. 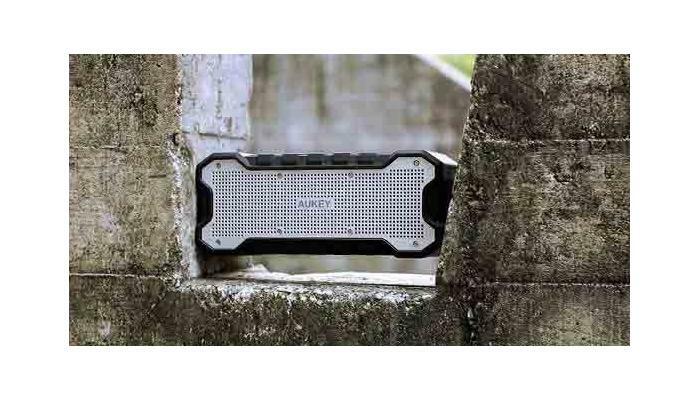 The Aukey SoundTank Bluetooth speaker is on sale at the online retailer right now for $33 (use code AUKEYSK3 at checkout). That’s better than the $45 sale price we saw in April—a price that has since gone on to be the standard cost on Amazon. The speaker features two 5 watt speaker drivers designed to give you good sound indoors or out. The battery offers up to 30 hours of playtime, and you get Bluetooth 4.1 with a range of 33 feet. You can also use the speaker to deal with phone calls, thanks to a built-in microphone. The SoundTank is splash-proof as well, so it’ll stand up to a little punishment at the lake or beach this summer. 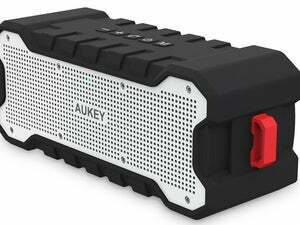 We reviewed the Aukey SK-M12 last summer and liked it a lot. This portable speaker is clear and loud, and it pushes out a decent amount of bass, too. It also has quick Bluetooth pairing (a rarity), and a threaded mount that lets you put it in all kinds of places. It doesn’t come with any kind of mounting hardware, though, so you’ll need to do some extra shopping for hardware to place it on a bike or something similar.